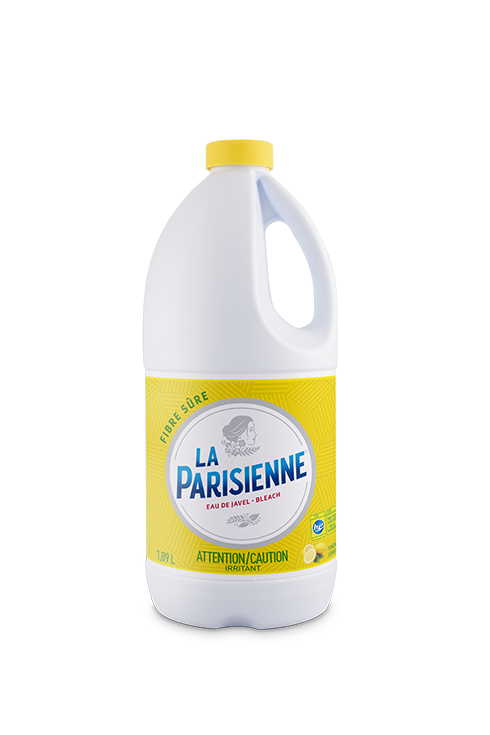 La Parisienne Fibre Sure Bleach is specially formulated to be gentler on fabrics than regular bleach and is lemon scented. Pour La Parisienne bleach bleach into dispenser (HE washer) or into washing water (regular washer) before adding laundry. Never pour directly on fabrics. Do not use on silk, wool, mohair, leather, or Spandex. Do not use on aluminum or silver. All surfaces in contact with bleach that will be in contact with food must be rinsed well with potable water.